Captioning is a critical aspect to streaming videos. Broadcasters must be able to supply not only content on standard mediums, such as Television, with captions for deaf or hard-of-hearing consumers, but also now on the internet, as digital video has exploded into a critical element of consumption. The Washington Post reported that 1.2 million minutes of video are estimated to be streamed or downloaded every second. In addition, YouTube expects 90 percent of online traffic to be just digital video in the next few years and Netflix, the digital video subscription service, made up almost one-third of online data that was used in the United States in 2011. According to e-Week, YouTube is actually adding six more languages for its captioning services – German, Italian, French, Portuguese, Russian and Dutch. "For a deaf or hard-of-hearing person watching video programs online, especially those that are consumer-generated, many programs are not required by law to be captioned," Andrew Phillips, a staff attorney for the National Association of the Deaf, told e-Week. "But this tool … improves accessibility to these programs giving us better access. It's nice to have the tools to do that and to help us when the law doesn't necessarily apply." Although the FTC has now required that any content that has been broadcasted on television must also be captioned on the internet, many popular digital videos were made explicitly for the Web. 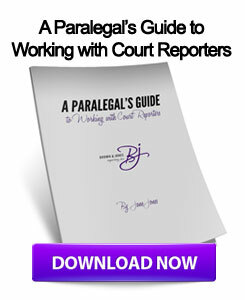 For companies that plan on providing digital video content, partnering with realtime, Wisconsin court reporters is a great way to ensure that transcripts are created efficiently and accurately. Furthermore, realtime court reporters can be used during any live event as a way to provide captioning for performances and sporting events.